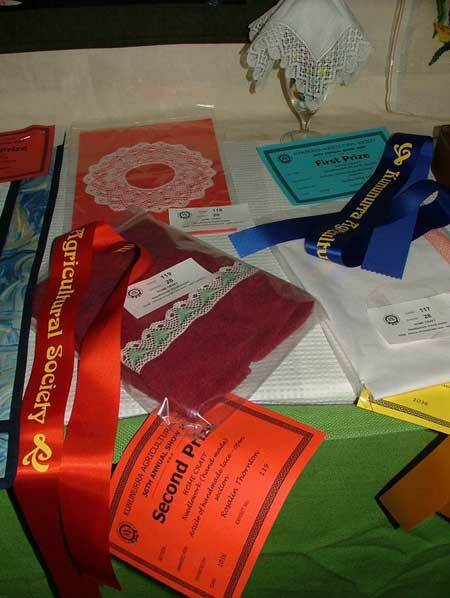 The 2008 Kununurra Ag Show, held on July 11 and 11 was a big disappointment in the pavilion. 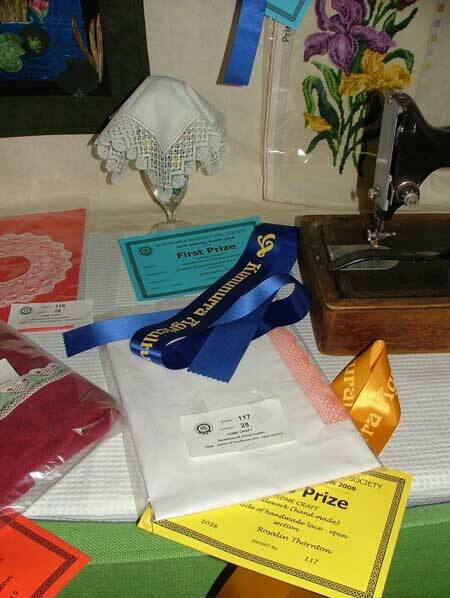 The homecraft section was a fraction of previous years with entries in the adult section well down. Reasons would include that some regular exhibitors have left town or not entered, however the lack of a printed show schedule being available with time to actually *make* things specifically for the show must have had a major part to play. 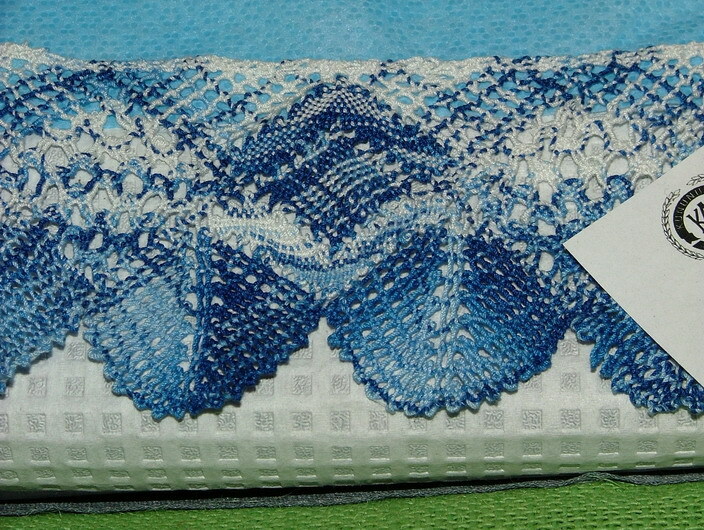 This years lace entries were blitzed by members of the Kununurra Lace Group and congratulations go to Jenny Keegan and Ros Thornton for their efforts. 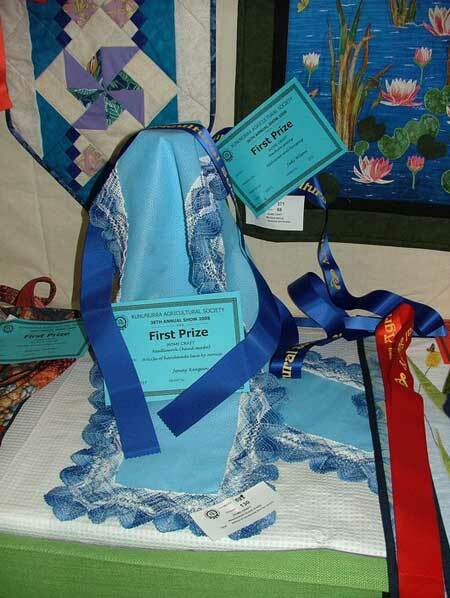 Jenny received First Prize in the Novice section while Ros took home Second and Third in the Open class. Well done ladies! 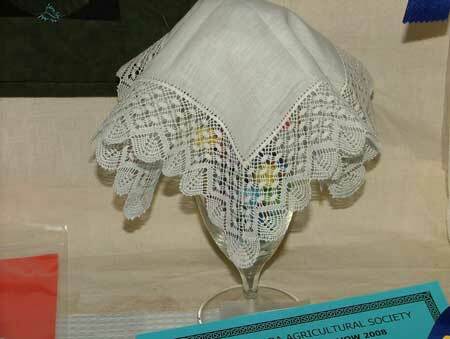 First prize for the Novice class goes to Jenny Keegan, a member of the Kununurra Lace Group. Click here for a closer look. 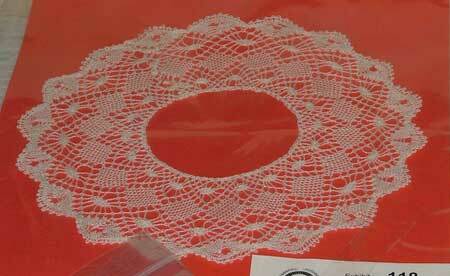 Second Prize goes to Ros Thornton, a member of the Kununurra Lace Group and winner of the 2007 Novice class. Third Prize goes to Ros Thornton - well done Ros!